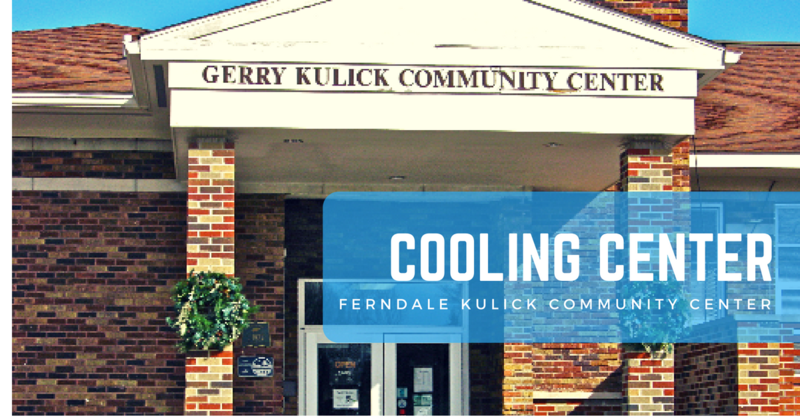 The City of Ferndale will provide the Kulick Community Center as a temporary shelter from today's hot temperatures, which are expected to reach around 90 degrees, with a heat index of 100. The center will be open to the public today, Tuesday, August 28, from noon to 8 p.m. The National Weather Service has issued a heat advisory, calling for a combination of hot temperatures and high humidity. In conditions like this, heat illnesses are possible. They advise drinking plenty of fluids, staying in air-conditioned spaces, staying out of the sun, checking up on relatives and neighbors, taking extra precautions for those who work or spend time outside, and rescheduling strenuous activities to early morning or evening. The Kulick Community Center is located at 1201 Livernois in Ferndale. Their phone number is 248-544-6767. The cooling center is intended to provide temporary relief from the heat; the center does not provide meals, bedding, or medical services.